Nine weeks ago I woke up, tried to say good morning to my darling husband and found I could not speak. I couldn’t even to croak – nothing! Very strange. My vocal cords had gone AWOL. 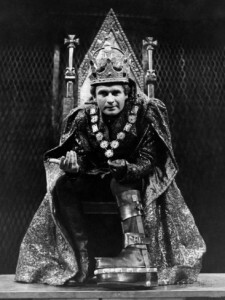 The evening before, having had guests for lunch, I noticed that my voice was a little weaker than usual. I thought nothing of it – I probably talked too much – as one does! My dearly beloved, of course, thought it was a huge joke! I was more upset by his obvious merriment than I was by not being able to speak. ‘It’ll come back during the morning’, I thought and put off doing anything about it. I work from home – most writers do – and as I deal in the written words, I just got on with them – composing them in my head and storing on my computer as most writers do. The doorbell rang once, and when I’d opened the door I gesticulated at the man delivering a parcel. He nodded politely, as if accustomed to meeting people who could not hear or speak properly. I signed for it and mouthed my thanks. The expressions ‘losing your voice’ and ‘being struck dumb’ took on a whole new meaning. I found I could whisper on the breath but few could hear me. There was no question of answering the telephone. By mid afternoon, after an unusually peaceful and silent lunch with my dearest man who also works at home, I became a little concerned and resolved to visit the doctor the next day. He wasn’t concerned at all and said I had laryngitis – inflammation of the vocal chords – and that it would probably go away soon, but if I still couldn’t speak after 8 weeks, he would refer me to the ENT Dept at the local hospital. I would have to be patient. ‘EIGHT WEEKS!’ I shouted in my head, remaining silent. Patience is not my strong suit. A talkative woman (as I am), rendered speechless (as I was), had to be hilarious. But soon it became not only inconvenient but isolating. I had to get used to being ignored. As weeks past I began to think that perhaps my enforced silence was a punishment for being so effusive and so wordy. I recalled that a few years ago, one Shrove Tuesday, my normally tactful spouse made the cardinal error of saying that I talked too much. Truth hurts so I snapped back that I would give up talking for Lent. This was harder than I had anticipated, but I did keep it up for about 10 days, after which time I had to resort to whispering i.e. not quite using my voice. 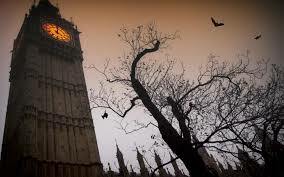 So I whispered for another week, during which time my best beloved and I went to Sunday lunch with friends. I kept up the whispers throughout, which some of the other guests found strange whilst others were amused by my persistence in my Lenten protest. But I couldn’t keep it up for 40 days. Whispering is tiring and I nearly lost my voice for real. This time, when it is real, I find that people often whisper back to me, which is completely illogical when they know that I can hear very well, but just can’t make sounds. I ask people why they are whispering and they generally say, “Because you are.” How crazy is that? What is even more crazy is that though my voice has returned during the last three weeks, I still speak huskily and sound as if I’ve been smoking 30 cigarettes a day for 30 years – which is very unfair as I’ve never smoked tobacco at all! It’s been over 4 weeks since I finished my book. I felt elated even though I knew it was only the first draft. After 10 months and some 95,000 words, I needed a break from it, and decided not to look at the book for at least a month. The plan was that I would come back refreshed and be more clear headed and prepared for the ‘PEP’ work. PEP = Pruning, Editing, Polishing. As all writers know this can be a long procedure and a lot of work. Self-criticism is always difficult but it’s essential. But first I needed some relaxation and time away from my study. Needless to say, I became involved in other work, which has been all-consuming, and I don’t feel as if I have had much respite. It’s said that a change is as good as a rest, but I’m not so sure. I like writing and I can do it at my own pace and in my own space. I don’t take telephone calls, I ignore the untidy house and I can eat chocolate as often as I like with no one to witness my greed. Working with others seems quite stressful by comparison. Anyhow, I must soon re-focus on “Dear Magpies” and start the edit. This week, I went to a lunch in a New Forest Pub with other members of the Society of Women Writers and Journalists and gained interesting insights about other writers’ ways of undertaking the editing process. It’s so helpful to feel I’m not alone in finding the task so daunting. 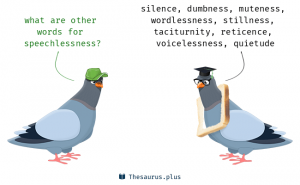 Cutting out the flab in one’s prose is vital, but it does feel like discarding weeks of work and jettisoning beguiling words that seemed so good at the time they were composed. It has to be done and I must get down to it. Perhaps next week! You need to put words on pages to make books. It’s more about quality than quantity but you must have both. And it takes time and hard work. Right now I’m focused on writing a new novel – my fourth book. It’s zipping along but there have been moments of despondency – and doubt that I’d ever get it done. In the early part of 2016 I did planning and research, and began to write in May. The actual writing is always exciting but it can be daunting when you realize what a long slog it’s going to be and how much there is to do. It was like being at the bottom of tall wooded hill, gazing upwards. So I bolstered up my confidence and commitment. I galvanized the enthusiasm and energy needed to climb to the top and get back down successfully. Inevitably I took a few wrong paths, stumbled, was unable to see my way and lost the thread. I wrote for three months until the end of July, when I felt rather bogged down with the large cast of characters and a complex plot. Words became tangled in thickets, blocked by obstacles, and there were moments when I floundered in the quagmire of confusion. I took three months off in the summer to spend time with family and to rethink the work in progress. During the break my only achievement was finding a title: ‘Dear Magpies’. I recommenced work with a clear head and renewed zeal in October and finished about a third of the book by the end of the year. By this time some of the clouds had cleared and I could see the top of the hill. When 2017 arrived, I set myself the goal of getting the rest of the book finished by 31st March. Quite some undertaking! I should state that the end of the book is not when you scale the summit of the hill but when you get back down to the bottom on the other side. I hit the top – the halfway point – in January and that was good. By then I had much of the story told and many words had flowed from head onto page. The horizon was visible so I had a better perspective on how I was doing. I could now see the ground far below and it looked easy enough to find my way back down to the end of the trek and the finish. So I set off down and disappeared among the trees and pitfalls of creativity. In February I discovered I was no longer footsore. On 1st March I found myself at the wheel of a little car which gathers momentum as I head downhill. I had a month to go and about quarter of the book to write but I’ve worked out how to resolve the various plot lines and bring everything to a conclusion which will surprise and satisfy the reader. But the going’s still hard and at times the book can be a real pain. Some days the words gush out like water from a tap and other days writing feels like wading through treacle. 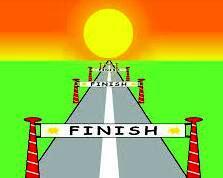 Though I still have many thousands of words to compose, the end is in sight, although sometimes I have the illusion that the finishing posts are being moved further away. So we drive faster, me and my car. It’s going to be glorious to accelerate through the final paragraphs and sentences. Then the screech of brakes to the final words – and a sigh of relief. The story will be told. My book will be done. We hear a lot about Apps and rather less about Abbs, unless you happen to be into bodybuilding. 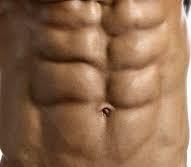 People who talk about their abbs are generally into flaunting their well-toned abdominal muscles. 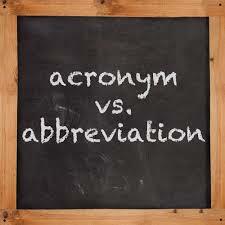 But an ABB could be an abbreviation of ‘Abbreviation’. Some years ago, over a few glasses of wine, my husband and I decided to form the Non-Abbreviation Society. We deplored shortened names, such as Rodge for Roger, Bex for Rebecca, Seb for Sebastian, Sooze for Suzanne, Ant for Anthony, or Ginnie for Virginia. Such savagely pruned names were an abomination. AGW (Another glass of wine?) Gloriously beautiful names like Penelope, Leopold, Francesca, and Orlando should be allowed to roll off the tongue and not have their wings clipped. DMMD! (Don’t mix metaphors, darling!) I had a friend who was married to somebody called Martin, who was a delightful man, and she always referred to him, even to his face, as Mart the Fart – and I used to wince when I heard it. Even if she knew something about him that we didn’t, it was still horribly unkind. MBH (my beloved husband) and I made a habit of creating silly societies. Some years back a Swedish acquaintance told us we were disgustingly politically incorrect, so we decided to invite selected friends to join the Politically Incorrect Peoples Society, or PIPS. Clearly we had by this time blackballed ourselves from our own Non Abbreviation Society, which our son had always referred to as NAS. He was never allowed to join! PIPS proved to be a good dinner table entertainment, and we even got as far as designing a tie and scarf for it – a smart navy background with a neat scattering of lemon pips in pale yellow, though we never went into production. We doubted whether people would pay for the privilege of joining our society. They all thought it was a bit of a joke. Perversely, witty and complex abbreviations soon became more fun than eliminating them, and when we came across small children, whether delightful or disgusting, angelic or awful, we would refer to as an ALP or an OLO. This was coded language for ʼappy little person or ʼorrible little object. Our non-abbreviation society became NONABBSOC and we then decided that acronyms were more fun and, as MBH aptly put it, ARS – which means, of course, Acronyms Reign Supreme. Our lives are full of acronyms. We don’t think twice when we read ASAP and we don’t blink at FYI. Most of us are familiar with TTFN – Ta Ta For Now; KISS – Keep It Simple Stupid; and NYOB – None of Your Business. And there are a whole raft of new ones used in texting and messaging such as BBL – Be Back Later; KIT – Keep In Touch, NP – No Problem, and LOL – Laughing Out Loud. This reminds me that, some years back, I used to refer to my brother’s girlfriend as his LIL (Live in Lover), and after he married her and later on divorced her, she became my SOL (Sister-Out-Law). There are many groups and societies which use acronyms – such as AA , and I particularly approve of MADD – Mothers Against Drunk Driving. Whilst on the subject of mothers, I recall that my mine, when she was laughing elatedly or driving fast (she often did both), had a habit of using words with 00 in the middle and repeating them, such as ‘boom boom’. She used to use ‘zoom zoom’ when overtaking cars, but if she swung out and realised she didn’t have the time, which rarely happened, she would shriek ‘mooz, mooz’ – and dive back – ‘zoom zoom’ backwards – got it? It’s useful to have coded messages that don’t offend others but which can be used in company to agree on a plan of action. So MBH and I concocted some useful acronym, such as LUGTHOOH (Let us get the hell out of here) and HICSHAM (Help! I can’t stand him/her another minute). Inevitably the insults became more personal, and on occasions at a drinks party, when I was holding forth to a group of people with glazed eyes, MBH would sidle up to me and say in a stage whisper ‘YABOB’ (You are being obsessively boring), and I would hiss back: ‘YIKSO’ (Yes, I know. Sod off!). We have the odd DOOM (Difference of opinion moment), but we never resort to GBH. MBH’s most recent society goes under the acronym, PHIB which he pronounces ‘fib’, and its stated aim is to Put Humour Into Business. As he and I spend most of our personal life doubled up in laughter, it seems appropriate that this should spill over into working life too, and because it’s such fun we’ve decided to encourage others to follow suit. I spent 15 minutes last week trying to decipher PRAY, which is clearly important as I had stuck it three different places, until I finally worked out that for once I hadn’t used an acronym at all. I was reminding myself of the need to pray ‘continually’ as St Paul says. I then found two stickers which said PFE, and it took a while to work out this was not a spiritual exhortation, but simply a reminder to do one’s pelvic floor exercises. I’ve had huge fun wasting the morning by writing this blog, but I really must get back to WIP (work in progress) on my next book. To conclude, I should like to wish you all PEACE & HOPE in 2017 – Pursue Excellence And Cherish Everyone & Hang Onto Positive Expectations. Because I love stories and storytelling. Because creating believable characters is a challenge. Because I am fascinated by the human heart and mind. Because I love words, language, learning and communicating. Because for me writing is compulsive and I just have to do it! I believe that stories created with imagination and sound research often illuminate the human condition more powerfully than non-fiction. But writers have a duty to their audience – their job is to intrigue the readers of their books and give them a satisfying emotional experience. The writer is a manipulator and should aim to create tension and curiosity in the reader, and to give pleasure from the freshness and precision in their use of words and images. But readers are vital too. We need you to give our occupation meaning. Without readers a writer does not fulfil his purpose and we all hope for a wide readership of our books. I love reading too. I happen to prefer reading books by holding them in my hand and turning the pages. I like the rustle of this action and the excitement that comes from throwing my eyes on each new crisp white page and wondering what it will bring. However I have no problems with electronic books and if this method of reading pleases people, and they find it more convenient, then that’s great. Certainly e-book readers are less cumbersome than printed books, and the typeface can be adjusted in size, and many books stored in one small compact item. E-book reading appeals to young and old so I’m all for it. Anything that encourages people to read has to be a good thing. My two novels have both had e-book editions as well has paper editions. The price of “To the End of the Day” has just been cut to £2.37. 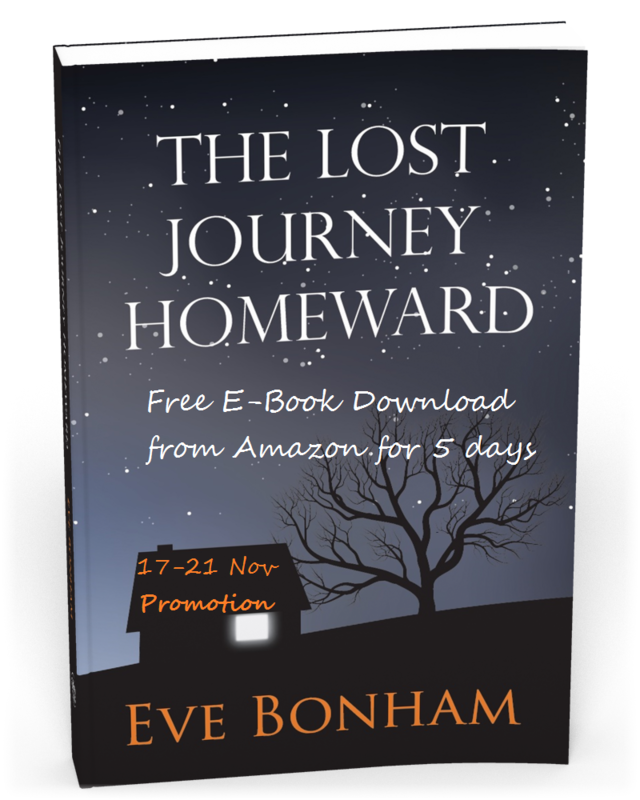 “The Lost Journey Homeward” (published 2015) is to have a FREE Download Promotion from Thursday 17th until Monday 21st November 2016. The e-book price is usually £5.99. 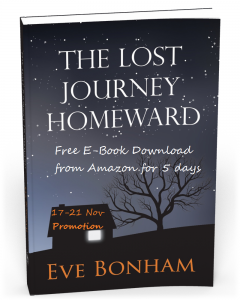 So if you have an Amazon Kindle or any E Book reader, go ahead and get it – and do tell others about this promotion so they can take advantage of it too. I want you to have my book. It’s a good read. This is the Link to the relevant Amazon page: goo.gl/W6gley. You can also see details about my Novel and read Reviews (all 4* and 5*). Remember it’s free for 5 days only! I’ve just read a book by well-known author that was beautifully written, with an ingenious plot and memorable characters – but it did not have an ending. There was an intriguing story with tension, insights and twists but with no resolution. I expected, as one does with most books, to have a satisfactory ending, either dramatic and explosive or quiet and restrained. I was curious about how the conflicts would be resolved. But nothing happened. There was no ending. The author just stopped writing and the reader was left in mid air. I kept turning back to see if I had missed something, to see if there was some clue which might inform me what had happened to the characters, in whose lives I had become interested. But I could find no indication as to how the story ended. I felt let down. I suppose there are many events in real life that never seem to reach a satisfactory conclusion. Or else we don’t know how they end. So perhaps the author was trying to make this point. But I was disappointed. As a reader, I had invested some time in and emotional commitment to this book, and now I shall never know the end of the story. Am I justified in feeling cheated? As a writer of books, I think endings are extremely important. They don’t always have to be obvious or spelt out, but the author should not avoid the issue. I like to have a quiet sigh – a moment of intense pleasure when I finish a good book. And then pick up the next one. Winterborne Slepe is the name of an imaginary village in Dorset, where much of the action in my new book takes place. Whilst I was searching for an appropriate name, I drove through a small village in the eastern part of the county called Slepe. The name appealed to me, and I hope that the residents of that village don’t mind if I borrow the name, but alter it slightly. I have also discovered that there are a number of villages and hamlets in Dorset, which are prefixed by the word Winterborne, sometimes spelled Winterbourne. So what does it mean? A ‘bourne’ is an Anglo-Saxon word for a stream which flows from a spring. 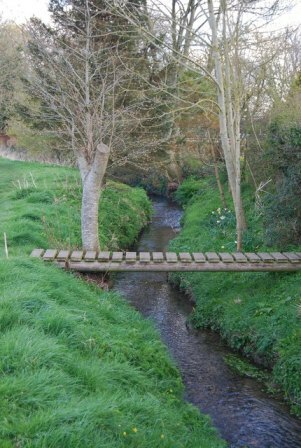 So a ‘winter’ bourne is a stream that flows only in the winter and often dries out in the summer, leaving dry beds or stagnant pools with green marshy grass. Much of Dorset is chalk downland with clay valleys, and in the winter the porous chalk is saturated with rainfall, but in dry summers, the water table falls below the level of a stream’s bed so it dries out. This is what happens with the water courses in many of the Winterbornes, but not with all of them and not every year. It rather depends on how much rain there has been. I live in a village with the word ‘bourne’ incorporated into the name, but our stream is not a ‘winter’ borne, but runs the whole year round, flowing through many gardens and along the main village road. It might be a low trickle in the height of the summer but it gathers strength in the autumn, and in the winter I am always surprised how much water hurtles down. It occasionally floods, when there has been torrential rain. Now, in glorious May, the stream is in docile mood, dancing past our house chortling to all the grasses and plants along its banks. I have been doing research for my new novel all winter and creating characters and thinking about the plot. I have been longing to start the writing process. Earlier this month with the advent of spring, I began putting words on the page. I set the scene in Winterborne Slepe. It takes time to write a book and I probably won’t finish it before the winter comes, or perhaps not until next spring. But however long it takes me, I’m going to enjoy it because I love writing and telling a story. And I’ve still got to dream up a title for my book!